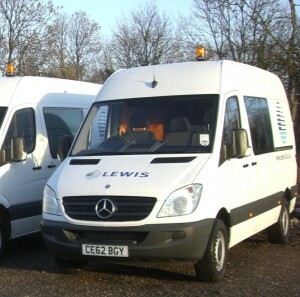 Wales-based Lewis Civil Engineering have appointed Pendragon Contracts as their preferred supplier of light commercial vehicles. The company selected Pendragon looking to take advantage of their reduced end-of-term damage (RED) contract hire solution. RED aims to eliminate unwanted end-of-contract refurbishment costs, making the total maintenance-inclusive contract more transparent and cost effective over the four-year term. John Given, Sales and Marketing Director for Pendragon Contracts, added: “As part of our annual market survey, we listened to the comments of several hard working fleets regarding end-of-term refurbishment costs.